In stock -This product will ship today if ordered within the next 8 hours and 45 minutes. 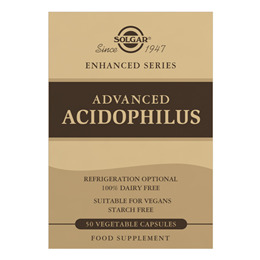 Solgar® Advanced Acidophilus Vegetable Capsules are a non-dairy formulation containing 2 strains of specially cultured strains of L. acidophilus (LA-5®) and B. Lactis (BB-12®). Each capsule provides 500 million specially cultured strains of L. acidophilus and B. lactis. 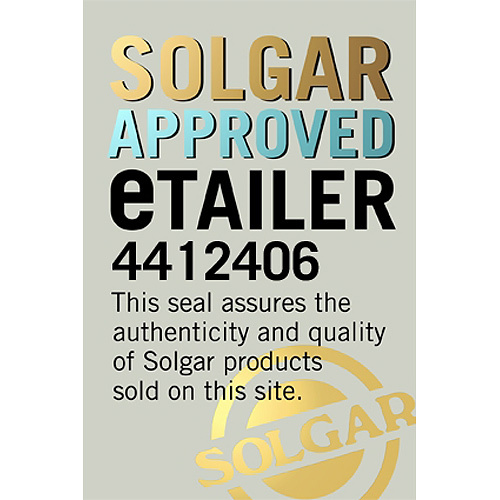 All of Solgar`s Advanced Probiotics utilise a polysaccharide matrix technology which protects the live bacteria from being destroyed by stomach acid, before it reaches the gut. This matrix is comprised of a specially formulated blend that offers protection as well as provides food for the organisms and enhances the shelf stability, meaning these products do not need to be refrigerated. L. acidophilus and B. lactis are strains of friendly bacteria which can be naturally found in the intestines. The intestines are responsible for digesting food, producing certain vitamins and assisting the immune system. The strains used in Solgar® Advanced Acidophilus Vegetable Capsules have been extensively researched. The digestive system is home to trillions of bacteria and they support the gut to be healthy, as well as aiding the immune system. Eating fermented foods such as yogurt, tempeh, cheese and sauerkraut, can help top up the level of friendly bacteria. A lot of commercial yogurt products have added sugar, which feeds not only the good bacteria in your gut, but also the bad ones. If your diet doesn’t contain fermented foods, you might want to consider taking a supplement. 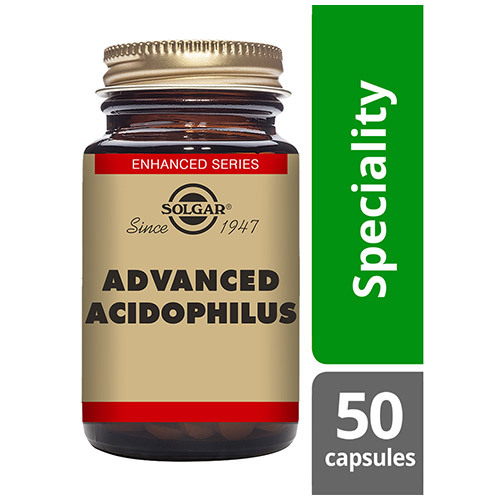 Solgar® Advanced Acidophilus Vegetable Capsules are a safe way to increase the level of friendly bacteria in your gut. Both strains have been granted Qualified Presumption of Safety (QPS) by the European Food Safety Authority (EFSA). Also contains: Bulking agent: maltodextrin, microcrystalline cellulose, Anti-caking agents: sodium alignate, silicon dioxide, vegetable magnesium stearate, vegetable capsule shell (hydroxyproplmethyl cellulose). As a food supplement for adults take one to two tablets daily, preferably at meal times, or as directed by a healthcare practitioner. Do not exceed directions for use. 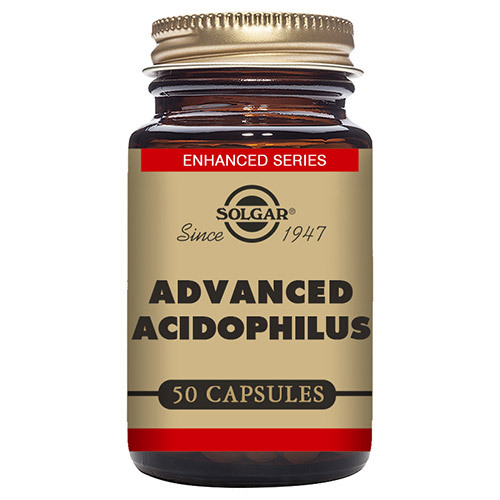 Below are reviews of Solgar Advanced Acidophilus - 50 Vegicaps by bodykind customers. If you have tried this product we'd love to hear what you think so please leave a review. 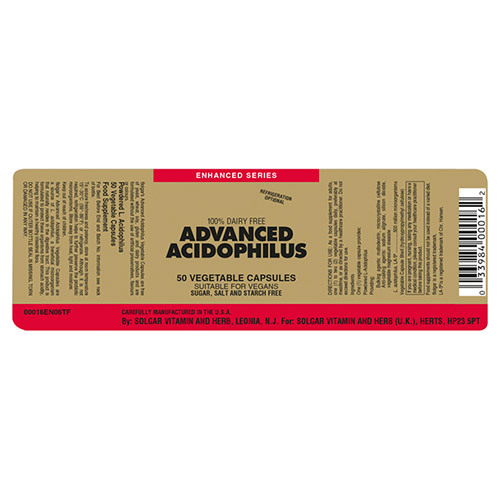 Solgar® Advanced Acidophilus Vegetable Capsules are a non-dairy formulation containing 2 strains of specially cultured strains of L. acidophilus (LA-5®) and B. Lactis (BB-12®). Each capsule provides 500 million specially cultured strains of L. acidophilus and B.lactis.